A stock split a corporate action that happens when a company decides their stock price is either too high (forward split) or too low (reverse split). Companies do this to help reduce the cost of a stock so more people can invest in it or if it is too cheap it raises the price to meet the requirements of exchanges and/or the price it needs to be for institutions to invest. A forward split happens when a company increases the amount of shares outstanding and as a result it decreases the price of the stock. Most companies will do a 2 for 1 or 3 for 1 stock split and, as mentioned above, will perform a stock split for two main reasons: to reduce the price of the stock to make it more appealing to a wider range of investors and it will provide greater liquidity and usually tighter spreads due to the increase in shares outstanding. An example of a stock split would be if a company had a share price of $100 with 1,000,000 share outstanding decided to do a 2 for 1 split, which would reduce the share price to $50 and increase the shares outstanding to 2,000,000. If you owned 100 shares at $100 then after the split goes into affect, you would have 200 shares at $50. A reverse split is the opposite of a forward split and is generally used by cheaper companies that need to increase their share price. 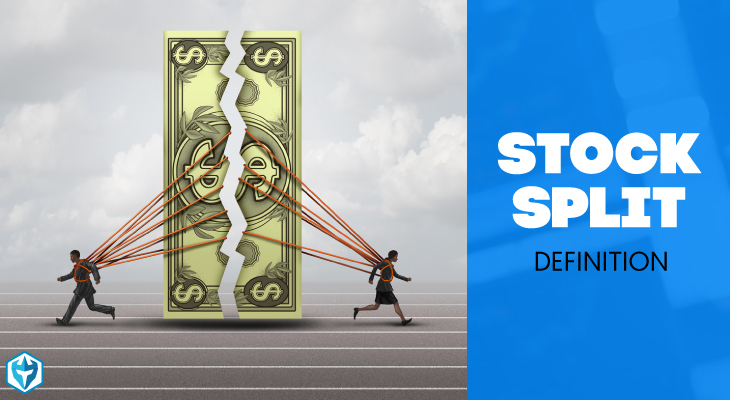 An example of a reverse split would be if a company had a share price of $3 and had 1,000,000 shares outstanding did a 1 for 2 reverse split, which would increase the share value to $6 and reduce the shares outstanding to 500,000. If you had 100 shares of the stock at $3 then after the split goes into effect you would have 50 shares at $6 per share. Neither the reverse split or forward split add or take away value from the company and is more used for adjusting the price of the stock for different corporate reasons.